Former England Women’s Rugby Captain with eight years of playing elite level competitive sport and over 20 years experience of playing sport at all levels. Retired from international rugby following a sixth successive Six Nations Championship win of which five were Grand Slam titles. Award recognising outstanding contribution to sport away from the pitch. Award recognising outstanding achievements within rugby both on the pitch and as an ambassador for the sport. Captained England to the final of the Women’s Rugby World Cup. Captained Engand, at Twickenham Stadium, to the first victory over World Champions New Zealand in eight years. Scored the only try of the match and was presented with the Investec Player of the Match award. 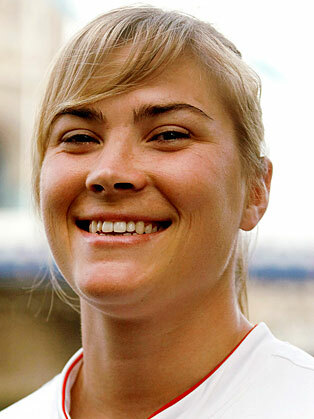 Member of the England Rugby World Cup squad in 2006. Catherine started all the games, including the Rugby World Cup final which England narrowly lost to New Zealand. The charity, which won the 2008 IRB Development Award, coaches Tag Rugby to underprivileged children in developing countries. Catherine has a close involvement with the charity, including travelling to Uganda, Zambia, Ghana, Mexico and India. Currently involved in fundraising initiatives for the Trust. Acting as a mediator between coaching and management staff and the player group. An enquiry point for management and coaches when wanting a player perspective on a new or existing idea. Representing the Rugby Football Union for Women (RFUW) at various player appearances which have included coaching sessions, speeches, question and answer sessions, prize givings and so on. Undertaking various media assignements varying from press conferences, live television and radio interviews, press launches and other television and media apearances whilst an England player and captain. Examples include Studio pundit work at televised matches at Twickenham including England versus New Zealand tests in 2011 and 2012 and regular work with Sky Sports throughout the Women’s World Cup in 2014. Commentary work includes 2013 6 nations coverage via RFU live streaming, 2013 Autumn Internationals with Sky Sports and 2014 Six Nations with the BBC. Inspiring Women is a Speaker and Mentoring Agency using female speakers with a sports or adventure background delivering messages regarding teamwork, leadership, goal setting, change management, dealing with pressure, coming back from adversity and so on. Managing the continuing development of Women’s Rugby. Ensuring effective communication and liaison between Sports Clubs, Constituent Bodies, Sports Partnerships, National Governing Bodies, Schools, Colleges, Universities, Rugby Football Union Staff and Volunteers. Managing and implementing projects to increase opportunities for women and girls in rugby union.